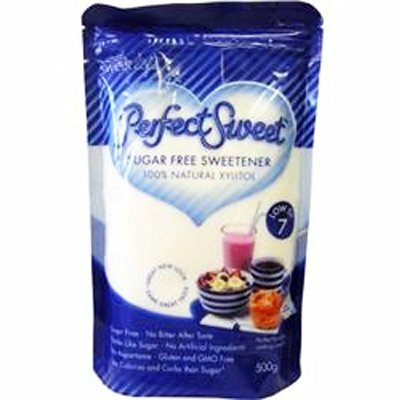 Does not contain: added egg, milk, peanut, corn, tree nut or animal products, yeast, gluten, lactose, artificial colourings, flavourings or preservatives. Hebs of Gold Bio Curcumin 4800+ has been specifically designed to provide natural pain relief and reduce inflammation. Curcumin the active component of Turmeric is known to be poorly absorbed. Bio Curcurmin 4800+ has undergone a patented process to improve absorption and bioavailability. 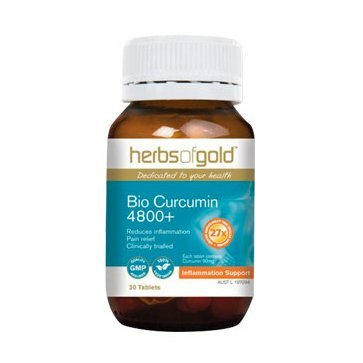 Herbs of Gold Bio Curcumin utilises Mervia® Curcumin which has been shown to be 27 times more absorbable and bioavailable than regular curcumin. The daily dose of Bio Curcumin 4800+ provides 180mg of Curcumin, with absorption equal to 4860mg of regular Curcumin. Bio Curcumin delivers a powerful, natural anti-inflammatoryh that has been clinically trialled to increase joint mobility and reduce joint swelling, pain and inflammation associated with arthritiis. Adults – Take 1 tablet twice daily, with food or as directed by your healthcare practitioner. Provide temporary relief of the pain of arthritis and osteoarthritis; Increase joint mobility and reduce joint swelling; Anti-inflammatory for the relief of pain. Individuals with inflammatory conditions such as osteoarthritis and rheumatoid arthritis; Back pain; Spinal disc inflammation; Sports injuries; Post-surgery (e.g. Knee or hip replacement) Anyone wishing to reduce inflammation and pain.